If you notice your hair thinning and you want a non-surgical method to solving your hair loss, then look no further than the HairMax LaserBand 82. This revolutionary new laser hair therapy treatment for home use gives amazing results to men and woman. The new enhanced hands free HairMax LaserBand 82 features 82 medical grade lasers. Those low level lasers provide the user with fast 90 second treatment time. The fastest laser hair loss treatment for thinning hair and hair loss ever. The effectiveness and speed of this device is unprecedented in the hair loss industry. • HairMax Lasers are the only laser hair growth devices with 7 FDA Clearances. • HairMax Lasers have been the subject 7 clinical trials with 460 subjects, which consistently proved the efficacy and safety. • HairMax is the only laser light hair growth device with results of its clinical studies published in four peer-reviewed medical journals and authored by experts in hair loss. • Clinical results for HairMax are comparable to those found with drugs used to treat hair loss, making the device an ideal non-drug alternative for treating hair loss. The unique design of the LaserBand 82 with it’s patented hair parting teeth mechanism (exclusive to HairMax devices) part your hair during treatment for maximum laser light delivery to your follicles to give you the optimal results you want and expect. Experience new hair growth, increased density and a fuller, healthier, and more attractive hair with the NEW HairMax LaserBand 82. When it comes to hair loss and thinning hair, finding the right solution that works for you can be frustrating, time consuming and overwhelming. 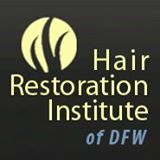 Let a trained hair loss specialist at Hair Restoration Institute of DFW in Fort Worth, Texas help you and show you the many amazing solutions to hair loss and thinning hair that are available to you today. We invite you to schedule a free, private, confidential visit today. This year, most men’s haircut styles combine short or very short sides with longer hair on top. The “undercut” has definitely come into it’s own. It’s popularity and stylish fade takes the sides from being simply short to almost shaved. Follow the link to check out some pictures of three of the most popular hairstyles for men with shaved sides in varying lengths from short to long. Our hair is a representation of a long history that reflects our particular ethnic and racial heritage. Our hair is also a reflection of our overall health as well as a way to express our way of being in the world. There are certain correlations between ethnicity and hair that are helpful to know in order to care for our hair properly, so we thought we’d cover a few of the basics in this post. This may be helpful if you are beginning to experience hair loss or thinning hair. Hair density. According to HealthGuidance, Caucasians have the highest hair density, averaging approximately two hundreds strands of hair per square centimeter. Professionals from the Belgravia Center, the UK’s leading hair loss clinic, inform us that blondes have about 146,000 hairs on their heads, black-haired people about 110,000 hairs, brunettes about 100,000 hairs and redheads about 86,000 hairs. Asians have approximately 150 hairs for every square centimeter on the scalp with about 80,000 hair follicles on an adult scalp. African Americans have the lowest hair density, averaging around 130 hairs per square centimeter and about 60,000 hair follicles on an adult scalp. Hair growth. Hair care experts at the Belgravia Center as well as eHow health author Cindi Pearce share information about hair growth rates between and within ethnic groups. Asian hair, the most common type in the world, is the fastest growing hair. Asian hair growth averages around .5 inches per month whereas African American hair growth hovers somewhere around .3 inches per month. European hair grows on average at a rate of approximately .4 inches per month and has the greatest hair density. Depending on how fast your hair grows as well as the level of damage that occurs, consider going for a trim every six to eight weeks. Split ends are highly damaging to your hair as they can quickly turn from split ends into split hair strands. Hair texture. Caucasian hair usually appears thicker since it is more difficult to see through the scalp than other ethnic hair types. However, Asian hair is the thickest and coarsest hair of any ethnic group. Unfortunately, Asian hair usually does not cover the scalp as fully. Asian hair is also the straightest hair of any ethnic group. According to HealthGuidance, African American hair texture varies. Some people have thicker, coarser hair whereas others have finer hair. Many have a mixture of fine and coarse hair. However, since African Americans scalp is darker than that of other ethnicities, thinning hair and balding is generally easier to conceal. Hair care. Hair care not only differs among ethnic groups but also differs within ethnic groups. Keeping your hair healthy depends on the type, texture, and density of your hair. Additionally, hair care has to be compatible with your monthly budget as well as your lifestyle. Regardless of the type of hair you have, try to keep your hair away from high and frequent heat, especially in the form of curling irons and blow dryers. Allow your hair to air dry as long as possible before blow-drying it. Also try to refrain from treating your hair with harsh chemicals such as dyes and straightening products. Depending on the texture of your hair, you may want to use a heavy or light moisturizing shampoo and conditioner. Regardless of cause, hair loss or noticeable thinning hair can be emotionally devastating, because our hair expresses who we are to the world and is an intimate part of our personal identity. Depending on the degree of hair loss you may be suffering, a variety of state-of-the-art hair loss treatment and hair restoration options are available that actually work. FDA approved laser hair loss treatment may work especially well for someone in the beginning stages of hair loss (Norwood scale 1-3). For more advanced hair loss, beautiful custom human hair wigs may be an option, especially if you have been diagnosed with Alopecia Areata, or other more severe forms of Alopecia such as Alopecia Totalis or Alopecia Universalis. Still others may opt for hair transplant surgery. The new 2015 Hairmax Laserband 82 home laser hair loss and hair rejuvenation device offers a super-fast, proven treatment solution for hair loss and thinning hair in men and women. Hair Restoration Institute of DFW in Fort Worth Dallas now carries the new Hairmax Laserband 82 home laser hair regrowth system, and we are excited to tell people about it’s amazing results. Fort Worth Custom Wigs That Help Regain Your Confidence Back! People often fall for things that are beautiful. Things that are naturally beautiful automatically send out positive vibes to others. As a result, they use makeup and undergo surgeries to look attractive. Even opt to buy the best dress or perfume to enhance their beauty. Although, not everyone is comfortable using such products that often cost a lot and do not provide a permanent fix to the wrinkles or even hair loss. Wrinkles can be hidden with makeup, but what about hair loss? A number of reasons exists, but let’s not get into that as the article highlights women’s non-surgical hair replacement techniques that are affordable and easy to imply. Read on to find out more. Replacement techniques works really well on those who suffer from hair thinning, complete or partial hair loss. People who face such issues not only lose their confidence, but might also undergo stress and social discomfort. Having to live with such issues can be quite disturbing for many, especially those who are young and unmarried. Getting a partner can also be a very difficult task. As such kind of issues are quite common with age and stress, science has come up with a new technique that is completely safe and offers instant results. Such services offer men, women and even children with fort worth custom wigs that help hide hair issues. Wigs have the innate ability to conceal the hair of those who have a receding hair lines. Such issues are often faced by people belonging to older age groups. If you are one of those that have a busy life these wigs can come in quite handy as they are very convenient and easy to put on. On the other hand, you can even try a variety of different hairstyles without getting a haircut or treating them with chemicals. When you make use of such wigs, there is no much of a hassle of dedicating precious time combing, or washing them for hours. You also do not have to figure any look as these wigs come in different hairstyles and can be easily worn by anyone. Also there won’t be hair fall at any point. Those of you who are suffering from hair thinning or have bald patch can also make use of fort worth hair extensions. Such extensions are very easy to use and help you save a lot of money in the long run. There are number of providers that offer such kind of services. Look for hair restoration institutes as they have experts with hair transplantation and other therapies available. Make sure that the providers have experts with years of experience and know what they are doing. Consider going through the reviews or simply give them a ring on their phone. Have a friendly word, clear any doubts if you have and choose the right institute. Make sure the institute provides professional as well as personalized services to men and women. Those that have convenient locations can also be a good idea to short listing to the right company. Whether you are facing hair loss or are in an advanced stage these professionals are sure to find the right cure. Visit such institutes today and regain your confidence back! Shelly Beatty is author of this article on women’s non-surgical hair replacement. Find more information about fort worth custom wigs.